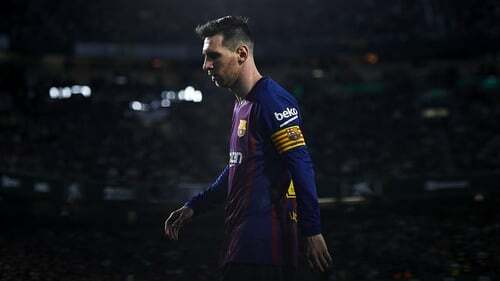 Suarez, who scored Barca's third goal with an outstanding solo run and finish, was hurt towards the end of the victory, in which Lionel Messi scored a glorious hat-trick. The Argentinian lined up a free kick from about 25 yards out. A single consolation goal for the hosts came from Loren Morón eight minutes from time, just three minutes before Messi's latest stroke of genius. "Our opponents suffer because of Messi, to a certain degree, but they also recognize the player he is and enjoy him", Valverde explained in his post-match press conference, via Ruptly. "Worse things have happened".